Backup and synchronization is performed through the concept of a "job." A job is a type (one-way or two-way sync), a source and destination, and a set of options configured to fit the needs of the replication. 1) On the Job menu, select "New" or click the "New Job Button" in the toolbar. 3) Click the Left Browse, choose the Left Folder for your new Job. Click the Right Browse, choose the Right Folder for your new Job. You may set your left and right locations with any of the following, including local, remote, and cloud file systems. For more information about a particular supported system, click here. 4) Click the Analyze button and review the proposed changes. 5) Click the Sync button. Your files are now synchronized! 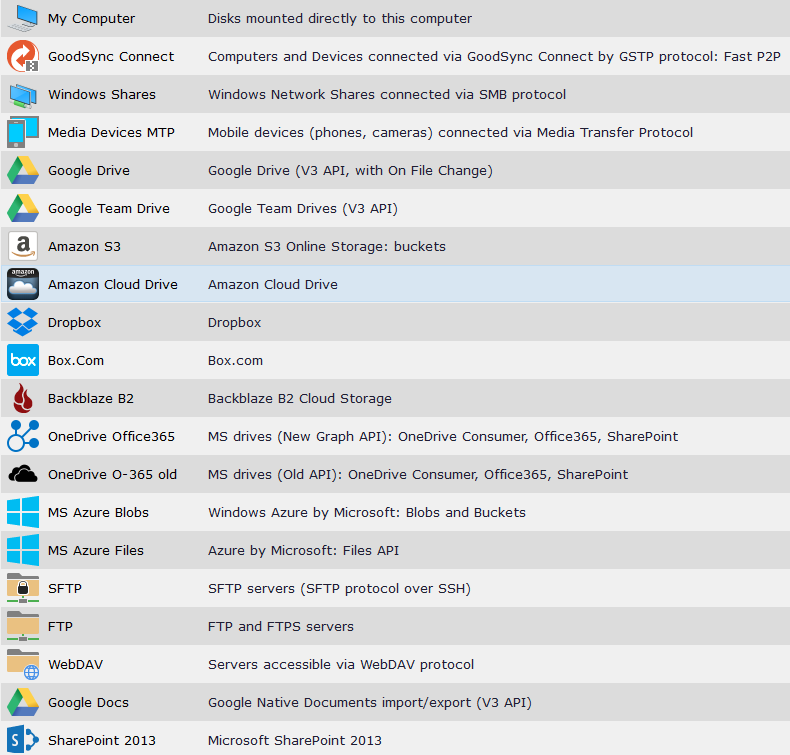 There are also a variety of options you can set for your job to get the most out of your backups. For details regarding scheduling, versioning and more, click here.